kt literary » Blog Archive » Happy Book Birthday to debut author Don Allmon! Happy Book Birthday to debut author Don Allmon! 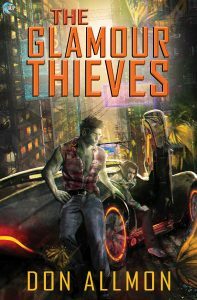 Please help us congratulate Don Allmon and his amazing team at Riptide Publishing on today’s release of his debut novel – THE GLAMOUR THIEVES! Yes, this is the gay elf + orc romance you’ve all been waiting for – congratulations Don and happy reading everyone! ← Welcome New Client Nikki Katz @katzni!